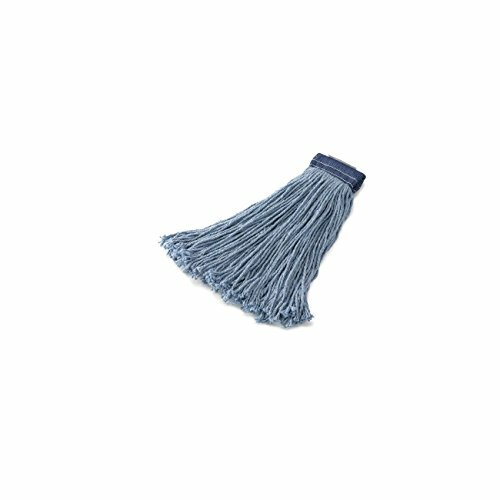 Rubbermaid Commercial FGF55800BL00 Premium 8-Ply Cut-End Blend Mop, 24-ounce, 5" Blue Headband. Balanced blend of post-industrial 4-ply cotton and synthetic fibers for higher absorbency and strength. LEED-point qualified. For general purpose cleaning. 20.75 inches long by 6.583 inches wide by 2.813 inches high. 1.75 pounds. Made in the USA.